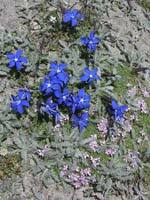 As soon as the days lengthen and the snow retreats, the Alps burst into colour with stunning alpine flowers. On your treks you’ll see the abundance and beauty of the alpine plant life and the many butterflies and insects they attract. 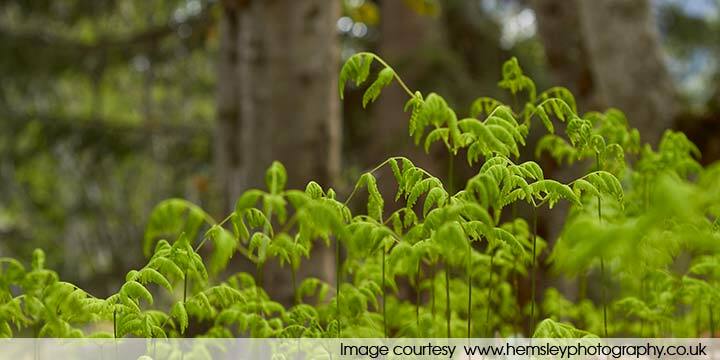 You’ll see how the plants have adapted to living in very challenging conditions. One of the things that never fails to impress me is how tiny and beautiful the flowering plants are and yet when you know even a little of what they have to survive you realise they are really tough. 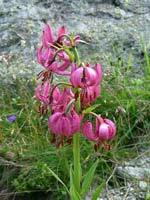 The best time to trek to experience the alpine meadows in full bloom is from the end of June and July. There are flowers throughout the summer though what you’ll see will change as the summer progresses. 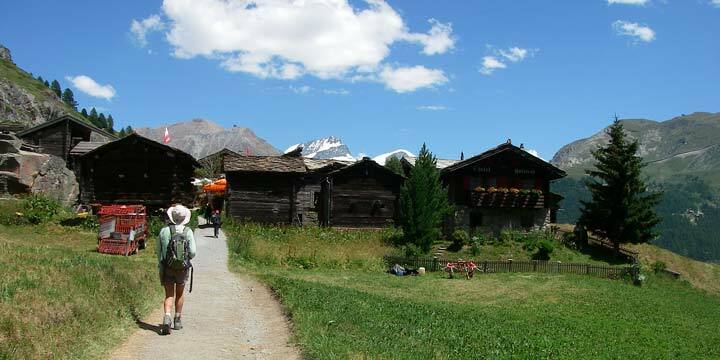 The BBC’s Nature website has a video clip of an alpine meadow coming into bloom click here. Stunning! 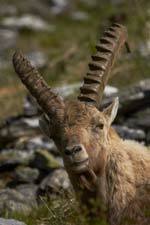 In certain areas and on particular walks you may see chamois, ibex, marmots or even bearded vultures. Again their adaptations to living in the mountains are always striking, not least the speed chamois can sprint down incredibly steep slopes or the nonchalance with which ibex stroll across vertiginous rocks. 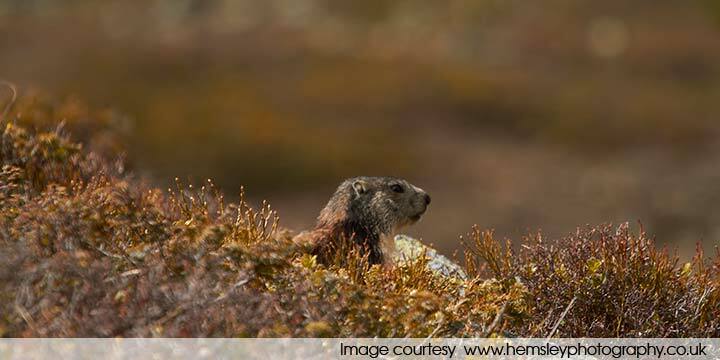 Marmots are more taken with sun bathing but do sprint occasionally. If seeing particular flowers or animals will make your holiday then please tell me and I can advise on the walks where you’re most likely to see them. Take a look at my Plants and Wildlife photo gallery for inspiration! 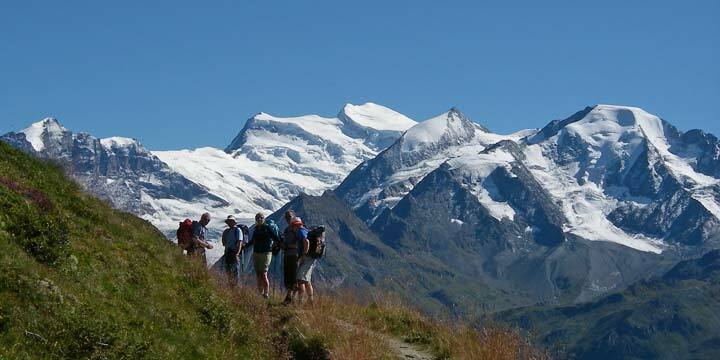 My links page will take you to the BBC Nature website where you’ll find superb photos and more information about the rich habitats, plantlife and animals you’ll encounter in the Alps. For yet more inspiration, here is another film on the BBC Nature website, this time a sequence of aeriel views of the Alps. Click here.